Rainy Wedding Still Makes A Bride Shine! A little rain did not stop this bride from having one of the happiest days in her life! 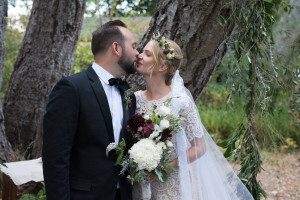 Although Chaminade Resort, Santa Cruz, CA is the perfect location for outdoor weddings and events, this venue with breathtaking views transformed into a cozy spot for an intimate rainy day wedding.